Surf Wala is located on the Arambol beach and is a superb Surf club guesthouse that offers surf lessons and boards on rent. The whole experience is about ruling the ocean waves and if you are one who loves to take adventures head on then this is the trip for you. Remember to wax your board. The price is for a 90 minute lesson. For intermediate instructions the price is 2500 Rupees for a 90 minute one on one session. 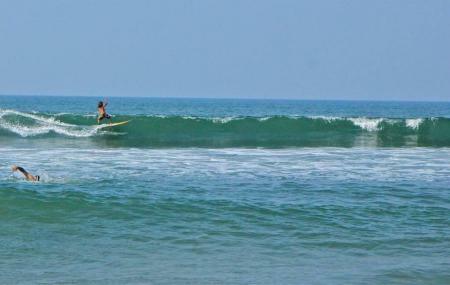 For 3 day surfing course it is 5000 Rupees per person. How popular is Surf Wala? People normally club together Curlies Beach Shack and Rice Bowl while planning their visit to Surf Wala. The guys from Surf Wala rent quality longboards and shortboards for a really good price. Their nice shack is just behind the sand dunes and really close to the waves. They have a lot of different boards and if you want they can give you good surf lessons. All the Surf Wala guys are really nice and can tell you when the waves will be the best. I had a great time and a lot of good waves because of them.